This is part two of two. 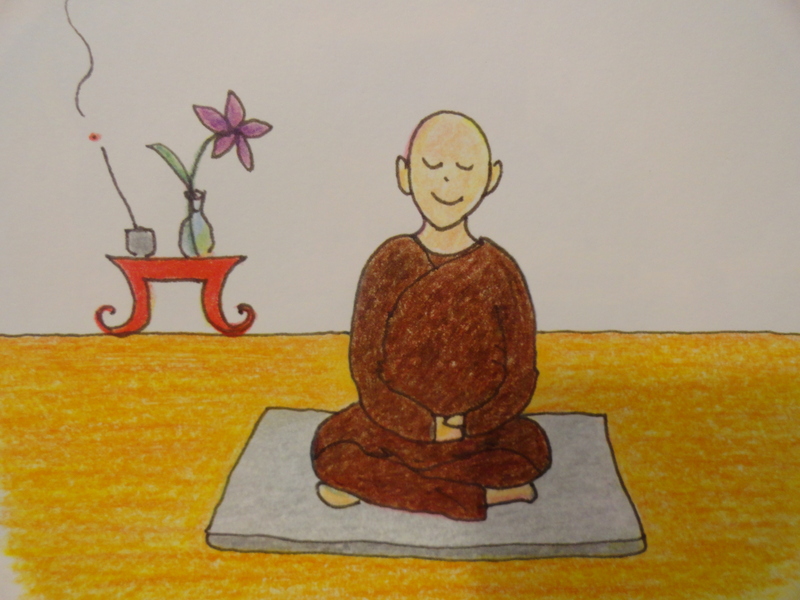 The modern Zen master Thich Nhat Hanh expounds in a concise and everyday manner a basic understanding of Buddha’s teachings. This second part focuses on the second and third of the three Dharma Seals that the Buddha passed on to us: the teaching of no-self and nirvana. 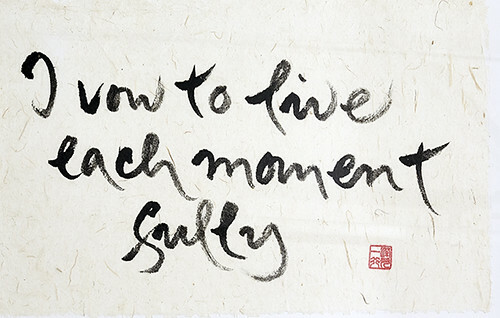 Thay gives us simple examples of how to practice these in our daily life. He makes it clear how understanding and practicing these basic teachings of the Buddha gives us a basis for clarity and a way of living with strong ethics. I find this essay so timely for each of us to support us in being part of the new earth that is emerging now. Enjoy part two! Impermanence is looking at reality from the point of view of time. No self is looking at reality from the point of view of space. They are two sides of reality. No self is a manifestation of impermanence, and impermanence is a manifestation of no self. If things are impermanent, they are without a separate self. If things are without a separate self, they are impermanent. Impermanence means being transformed at every moment. This is reality. And since there is nothing unchanging, how can there be a permanent self, a separate self? When we say “self,” we mean something that is always itself, unchanging day after day. But nothing is like that. Our body is impermanent, our emotions are impermanent and our perceptions are impermanent. Our anger, our sadness, our love, our hatred and our consciousness are also impermanent. So what permanent thing is there that we can call a self? The piece of paper on which these words are written does not have a separate self. It can only be present when the clouds, the forest, the sun, the earth, the people who make the paper, and the machines are present. If those things are not present, the paper cannot be present. And if we bum the paper, where is the self of paper? Looking deeply into a flower, we see that the flower is made of non-flower elements. We can describe the flower as being full of everything. There is nothing that is not present in the flower. We see sunshine, we see the rain, we see clouds, we see the earth, and we also see time and space in the flower. A flower, like everything else, is made entirely of non-flower elements. The whole cosmos has come together in order to help the flower manifest herself, the flower is full of everything except one thing: a separate self, a separate identity. The flower cannot be by herself alone. The flower has to inter-be with the sunshine, the cloud and everything in the cosmos. If we understand being in terms of inter-being, then we are much closer to the truth. Inter-being is not being and it is not non-being. Inter-being means being empty of a separate identity, empty of a separate self. No self also means emptiness, a technical term in Buddhism that means the absence of a separate self. We are of the nature of no self, but that does not mean that we are not here. It does not mean that nothing exists. A glass can be empty or full of tea, but in order to be either empty or full, the glass has to be there. So emptiness does not mean nonbeing, and it does not mean being either. It transcends all concepts. If you touch deeply the nature of impermanence, no self and inter-being, you touch the ultimate dimension, the nature of nirvana. You can see non-self in impermanence, and impermanence in non-self. You can say that impermanence is non-self, seen from the angle of time, and non-self is impermanence seen from the angle of space. They are the same thing. That is why impermanence and non-self inter-are. If you do not see impermanence in non-self, that is not non-self. If you do not see non-self in impermanence, that’s not really impermanence. But that is not all. You have to see nirvana in impermanence and you have to see nirvana in non-self. If I draw a line, on one side there will be impermanence and non-self, on the other side there will be nirvana. That line may be helpful, although it could also be misleading. Nirvana means going beyond all concepts, even the concepts of no self and impermanence. If we have nirvana in no self and in impermanence it means that we are not caught in no self and impermanence as ideas. If you take three cells from my body to make clones and make three children from these cells, all of them will have the genetic inheritance of my blood family and myself. But we all have one more inheritance. The body we inherit from our family is nature. We also have an inheritance from our environment. That is nurture. So imagine that we put these three clones into three different environments. If one of the children is put into an environment of drugs and gambling, he will probably become a person who enjoys drugs and gambling. He will not be a Buddhist monk like I am now. If you put another cloned child into an environment of business and send him to a business school, he will probably become a businessman. This would occur even though the clones will all have the same genetic inheritance as I do. But I have been penetrated by the Buddha dharma. The teachings of the Buddha and the practice will not be watered by business school. The seeds of selling, buying and business will be watered. That clone may become a businessman. Although the eyes, nose and ears will look just like me, this clone will be nothing like me. Let us say that we allow the third clone to become a monk. We put him in the Deer Park Monastery to be brought up by monks and nuns. Every day he hears the sutras and does walking meditation. That child will be more like the monk I am today. Impermanence and no self are not rules to follow given to us by the Buddha. They are keys to open the door of reality. The idea of permanence is wrong, so the teaching on impermanence helps us correct our view of permanence. If we get caught in the idea of impermanence, we have not realized nirvana. The idea of self is wrong, so we use the idea of non-self to cure it. If we are caught in the idea of non-self, then that is not good for us either. Impermanence and no self are keys to the practice. They are not absolute truths. We do not die for them or kill for them. No self and impermanence are means to understand the truth; they are not the truth itself. They are instruments; they are not the ultimate truth. Impermanence is not a doctrine that you should feel you have to die for. You would never put someone in prison because they contradict you. You are not using one concept against another concept. These means are to lead us to the ultimate truth. Buddhism is a skillful path to help us; it is not a path of fanatics. Buddhists can never go to war, shedding blood and killing thousands of people on behalf of religion. Because impermanence contains within herself the nature of nirvana, you are safe from being caught in an idea. When you study and practice this teaching, you free yourself from notions and concepts, including the concept of permanence and impermanence. This way, we arrive at freedom from suffering and fear. This is nirvana, the kingdom of God. We are scared because of our notions of birth and death, increasing and decreasing, being and non-being. Nirvana means extinction of all notions and ideas. If we can become free from these notions, we can touch the peace of our true nature. Each of us has a notion of how we can be happy. It would be very helpful if we took the time to reconsider our notions of happiness. We could make a list of what we think we need to be happy: “I can only be happy if … ” Write down the things you want and the things you do not want. Where did these ideas come from? Are they reality? Or are they only your notions? If you are committed to a particular notion of happiness, you do not have much chance to be happy. Happiness arrives from many directions. If you have a notion that it comes only from one direction, you will miss all of these other opportunities because you want happiness to come only from the direction you want. You say, “I would rather die than marry anyone but her. I would rather die than lose my job, my reputation. I cannot be happy if I don’t get that degree or that promotion or that house.” You have put many conditions on your happiness. And then, even if you do have all your conditions met, you still won’t be happy. You will just keep creating new conditions for your happiness. You will still want the higher degree, the better job and the more beautiful house. Please remember that your notions of happiness may be very dangerous. The Buddha said happiness can only be possible in the here and now. So go back and examine deeply your notions and ideas of happiness. You may recognize that the conditions of happiness that are already there in your life are enough. Then happiness can be instantly yours. This entry was posted in Buddha, Compassion, Exploring Consciousness, Uncategorized and tagged Buddha, Dharma Seals, Impermanence, Nirvana, No Self, Thay, Thich Nhat Hanh. Bookmark the permalink.